Home / Blog / Uncategorized / How Can You Improve Your Decision Making? How Can You Improve Your Decision Making? Whether you’re an employee trying to find the best way to develop your career, or a business leader investing in the growth of a company, ethical decision making is crucial. Whether you’re a financial candidate deciding which part of the sector you want to get involved with next, or a banking manager choosing a new technology for your team, the choices you make are pivotal. Unfortunately, there are many challenges to overcome in effective decision making. Some people are so overwhelmed by the pressure of making the right choice that they find themselves in a state of uncertain paralysis. Other people approach issues with too much confidence and end up making poorly-researched decisions. Fortunately, there are a few ways you can improve your decision-making skills. 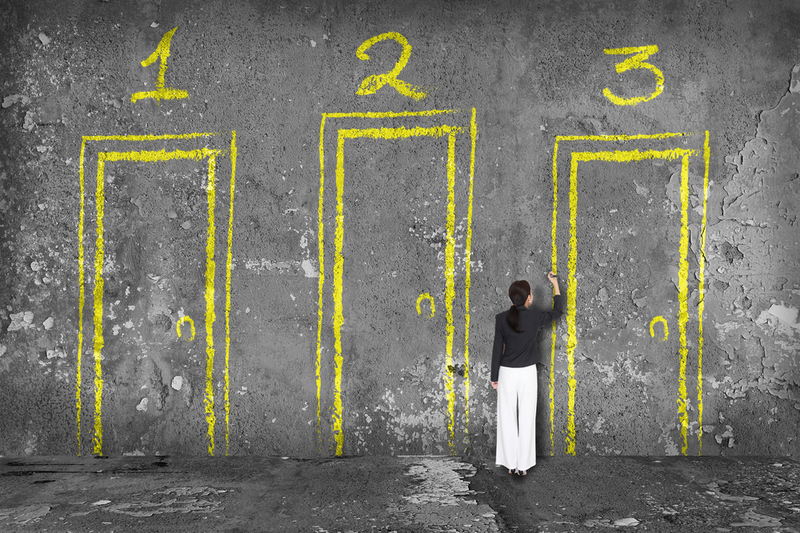 The first step in making a practical choice is narrowing down your options. What kind of budget do I have to work with? What do I need the software to do? What are the obstacles I might face in implementing a new strategy? With a pen and paper, bring some clarity to your decision-making process by listing all the possible solutions and obstacles you foresee. This process will help you to make a more rational choice and ensure that you’re not caught off-guard by any outcomes you failed to predict. Success in any business endeavour comes from knowing your goals. When accountants decide to embrace a new strategy to streamline their auditing process, they do so because they know that they want their day-to-day work to be more efficient and accurate. A clear vision of what you want to accomplish will allow you to determine whether you’re making a choice based on what you or your company needs. This is particularly important in a competitive age, where it can be tempting to do things just because your competitors are doing them too. There’s a reason why feedback is so valuable in the modern workforce. Everything you do in your professional life, whether it leads to success or failure, is an opportunity to learn. The best decision-makers know to treat each choice with scientific precision. Recording your decisions and the process you used to make them will make it easier for you to make more confident decisions in the future. Every so often, reflect on the decisions that have led you to where you are today. Are there any choices you regret, and what would you change now that you know better? When you need to make a new decision, think about the things you regret from the past, and look for ways to prevent yourself from making dangerous choices again. For instance, can you do more research or give yourself more time to think things through? Choice paralysis is one of the most problematic parts of decision making. However, that doesn’t mean that people are better off jumping head-first into a decision without listening to their doubts. The key to excellent decision making is balance. You need to give your fear a platform so that you can think about the possible adverse outcomes that may occur with a bad choice. Ask yourself what would happen if your decision was the wrong one, and what you can do to repair the issue. This will ensure that you’re prepared for anything. Just don’t let your nerves stop you from going through with your choice. Doubt can be a powerful thing when used correctly. For instance, try pretending you’ve made a choice and it’s gone wrong already. Then ask yourself if there’s anything you could have done to prevent the negative outcome. This way, you can make more cautious choices. It’s difficult to decide without getting emotionally involved in your choice. Whether you’ve decided to leave your current job in search of something new, or you’re implementing a new training plan for your team, your choices can have a significant impact on your life, and the lives of others. According to Harvard Professor Jennifer Lerner, emotions rarely have a positive effect on decision-making. If possible, the best thing you can do is place your feelings and ego to one side and look at the situation from an objective point of view. You can even think about things using the laws of probability, asking yourself how likely it would be that each choice would take you closer to your goals. You get a perspective from people with different views: This way, you may be able to examine a problem from an angle you didn’t consider before. You remove some of the emotion from the decision: Outsiders are often more objective because the decision doesn’t affect them directly. You access new knowledge and experience: Other people have specific expertise and insights that they can bring to your choice-making process. Decision making isn’t always easy, but the more you work on your skills, the better you’ll be at making the right choices. JobFitts Consultants are a specialist provider of professional Recruitment Services for the Financial Services sector and related suppliers in Australia. Since 2003 we have recruited and placed a breadth of operational roles at all levels from; HR, Accounting, Marketing and Customer Service/Frontline. To find out more visit our website at JobFitts here or call us on (02) 9220 3595 or email here. Subscribe to get Latest Trends & Tips on Recruitment, Job Search and Leadership. You’ll be the first to hear, never miss a post! https://www.jobfitts.com.au/wp-content/uploads/2019/03/decision-making-jobfitts.jpg 666 1000 jobfitadmin https://www.jobfitts.com.au/wp-content/uploads/2019/03/jobfitts-logo.png jobfitadmin2019-03-15 09:50:042019-03-15 09:54:22How Can You Improve Your Decision Making? © 2019 JobFitts Consultants. All Rights Reserved.